It’s always a pleasure to see vinyl, especially when it’s a superb piece of limited edition Kaja memorabilia. 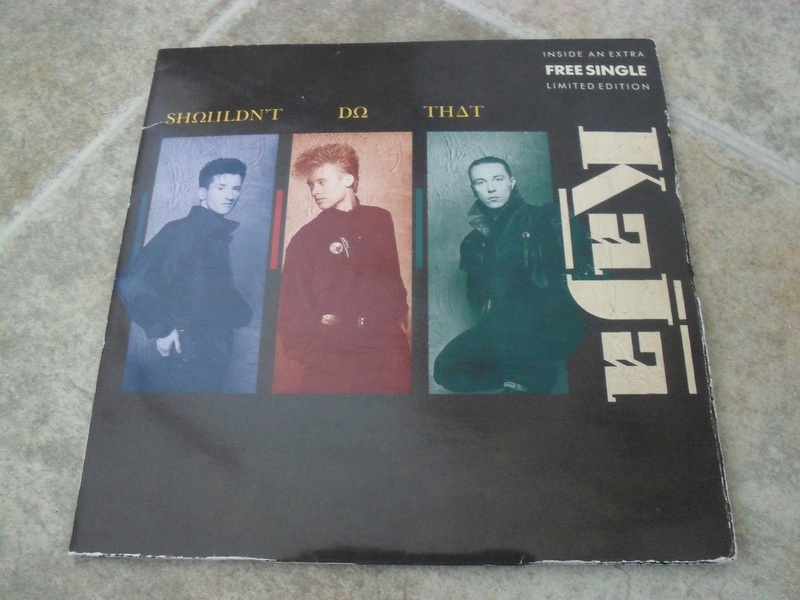 Here we have a limited edition two disc 7″ gatefold release of ‘Shouldn’t Do That’ and this was of course, a single by the three piece band when they were known as ‘Kaja’. This single is also noteable due to the fact it was the only track to be released as a single from the wonderful third album, ‘Crazy People’s Right to Speak’. This track also has a fantastic video and we shall finish on that today after saying thanks to theraggedtiger for sending in these photos of his vinyl. I have this. It’s a gorgeous item. There is also a much more Limited version of the gatefold with a stickered sleeve and free postcard. I have that as well. 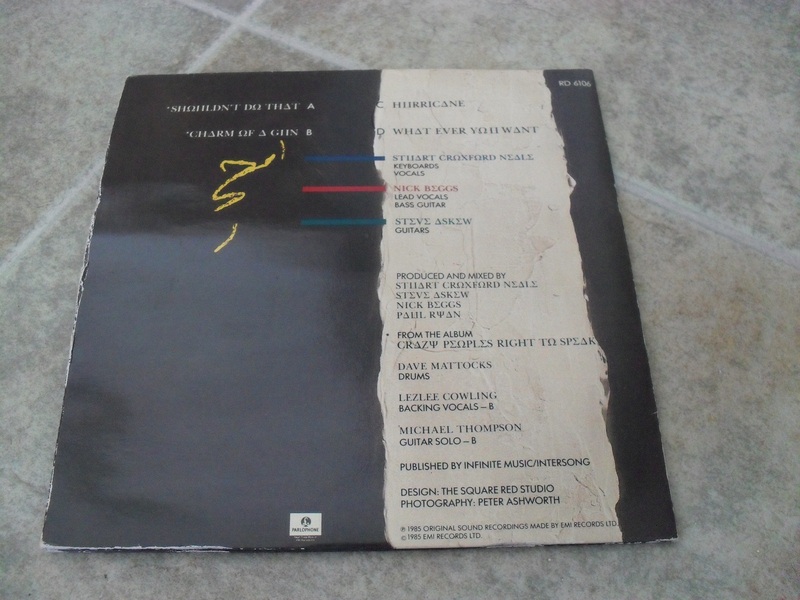 It has the exact same catalogue number as this one. 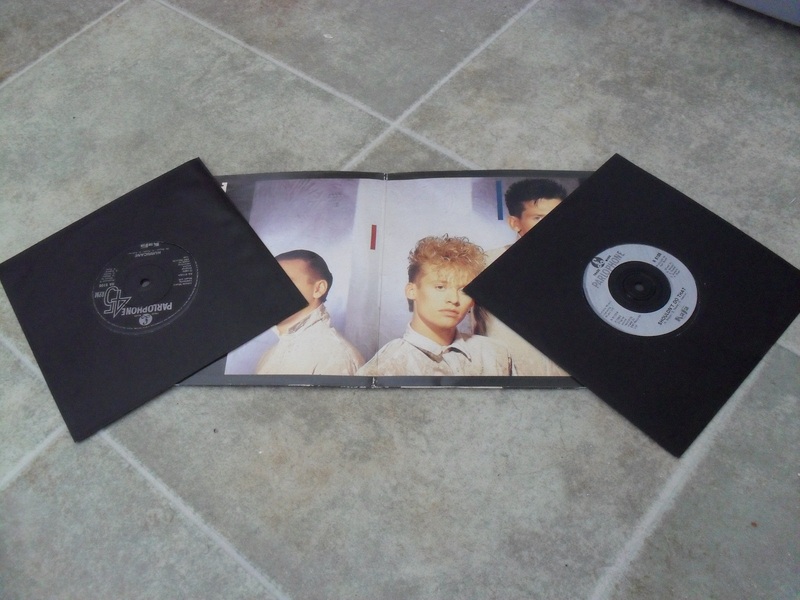 I have the 12″ single of this also, with a nice poster. 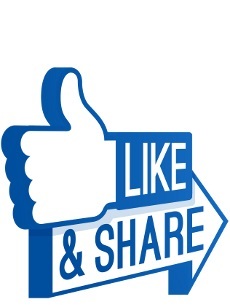 that should read ‘fave’……I really shouldn’t type without my contact lenses in! However, there does seem to be a pressing error with Whatever You Want. Right on the intro it jumps. If you look the groove overlaps in a sort of wavey line. I thought this was a one off at first but all of mine are like it. 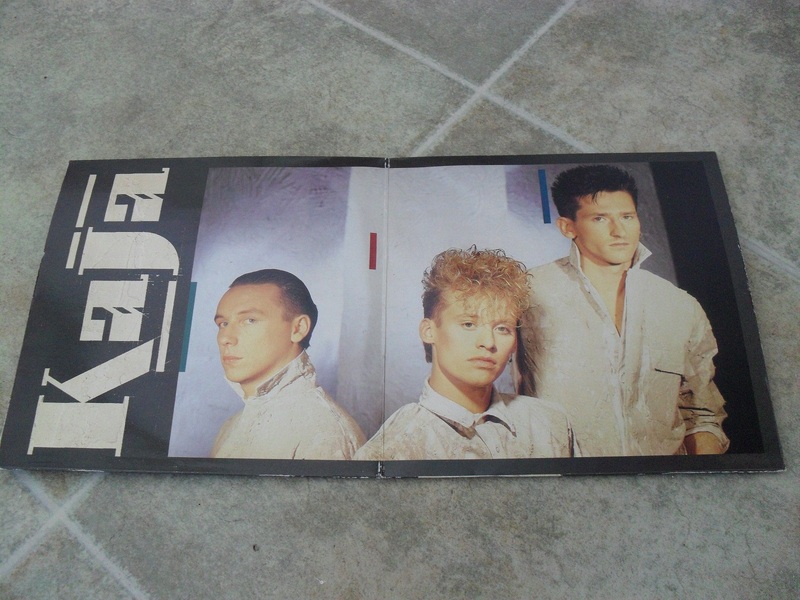 I still don’t have the 12″ with the poster. I really should look into getting that. that would be brilliant Denny, thank you. I always wanted to see one after all these years of thinking that mine was missing! Ha! wonderful piece of memorabilia. I was just listening to “Limahl’s” version of Shouldn’t Do That when I was scrolling through the Twitter Time line, and found this link. Strange? Certainly. Peculiar? Absolutely. Coincidence? Not hardly. And why you ask? Because it’s Kajagoogoo Monday. Enough said. The gents on the cover are looking quite dapper in their single release. I’m at work so I’m not privy to internet video access, but I will check it out later. Great blog. Thanks! We should do a post on those Limahl albums of KGG songs. There are lots of differing versions! Twitter is going to be covered in ‘Goo over the coming weeks…..so is the internet as a whole, actually!